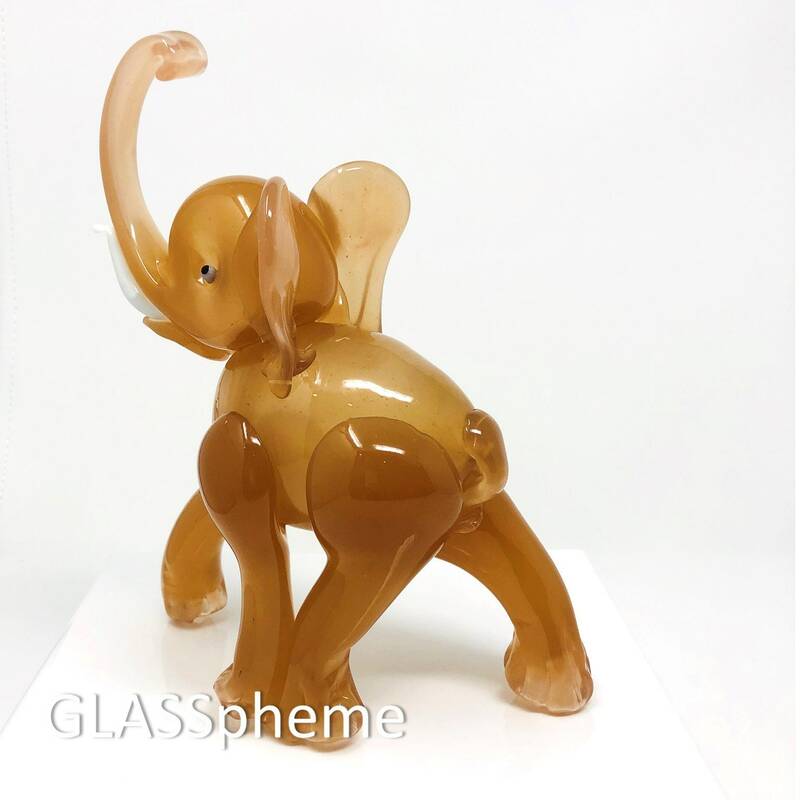 This large and beautiful mid-century Murano glass elephant, albeit hard to come by, has been sighted frequently enough with its generic Fratelli Toso "Made in Murano, Italy" label to make the attribution with certainty. 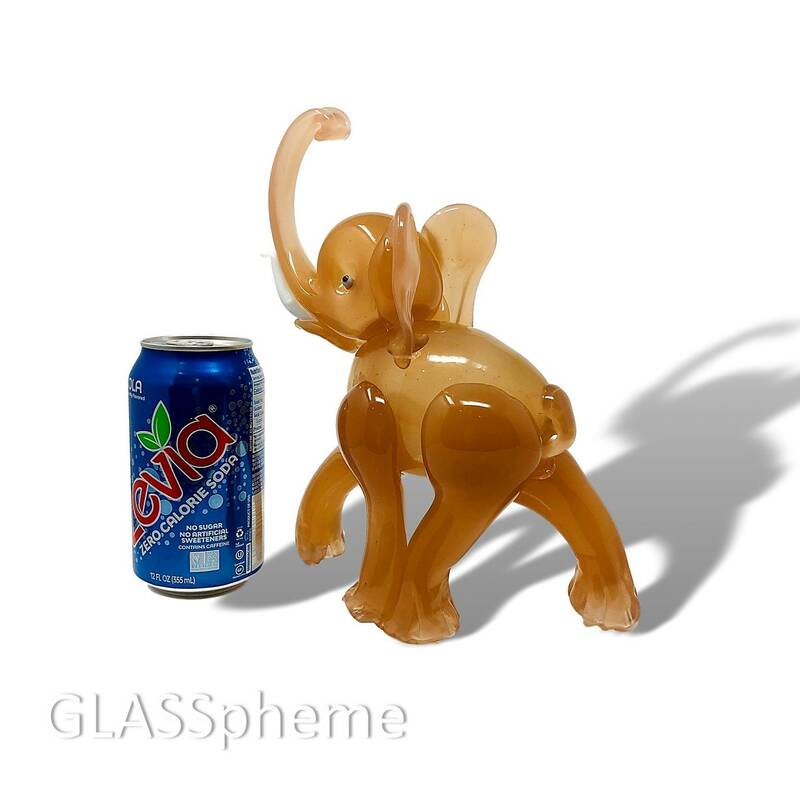 (Take a look at this page in The Murano Zoo to verify: https://sites.google.com/site/muranozoo/mammals-elephants). 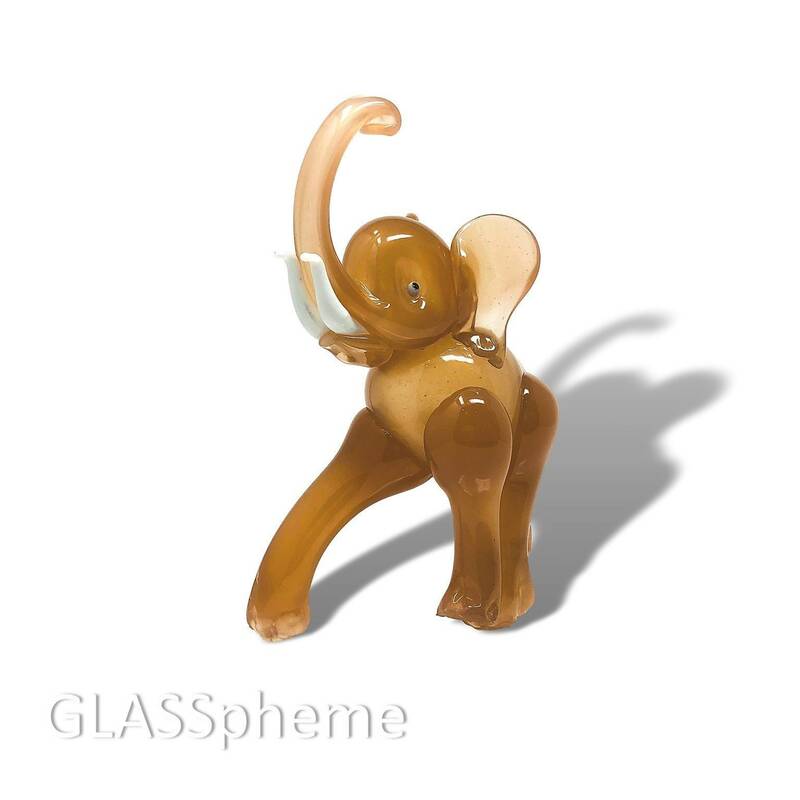 For the most part, this exceptional piece of 1950s art glass has been mouth blown, not sculpted, so the body, head, and trunk are hollow and create wonderful contrast with the solid glass legs. 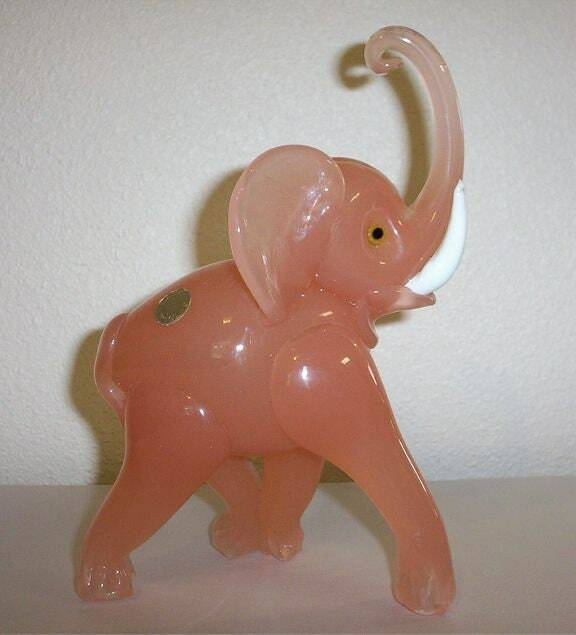 The gorgeous opalescent glass (I want to call it a pale pink with brown/peachy undertones) plays all sorts of tricks with the light! 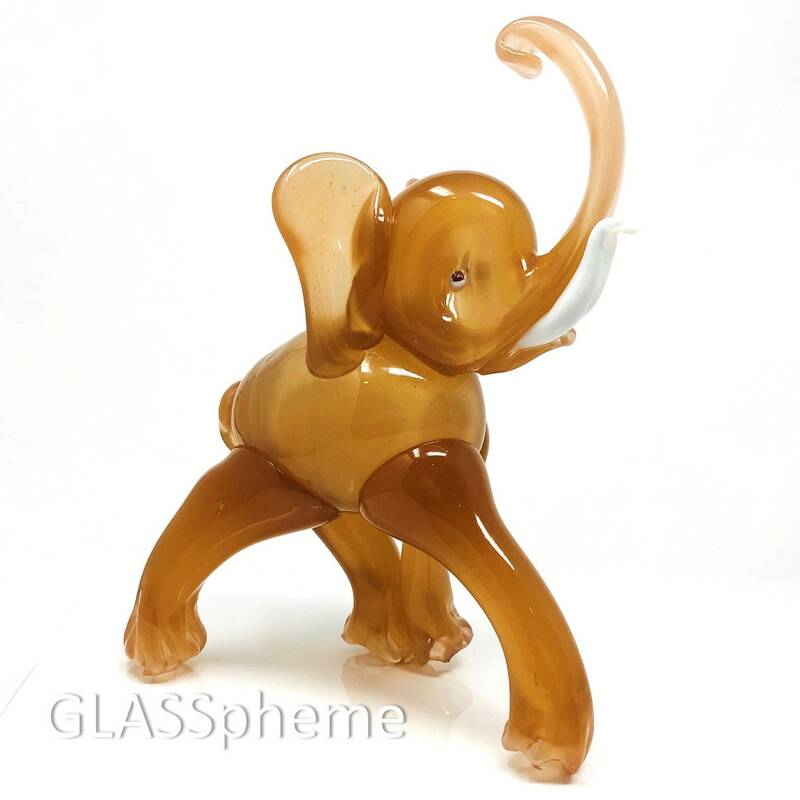 Under strong direct studio light, this beauty takes on a coppery patina, but in normal lighting conditions, it has more of a pinky peachy glow to it--but it doesn't seem to be as pink as the last photo (which is from The Murano Zoo google site referenced above).